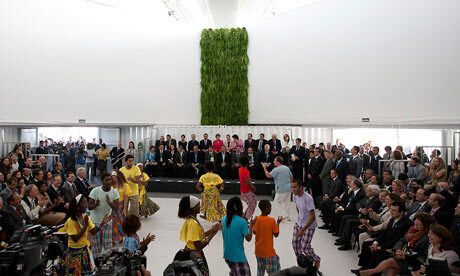 A United Nations Conference on Sustainable Development (UNCSD) is wrapping up today in in Rio de Janeiro, Brazil. Rio+20 is the conference's short name, meant to mark the 20th anniversary of the 1992 United Nations Conference on Environment and Development (UNCED), in the same city, and the 10th anniversary of the 2002 World Summit on Sustainable Development (WSSD) in Johannesburg, South Africa. The conference website (http://www.uncsd2012.org/index.html)describes the gathering as "an historic opportunity to define pathways to a safer, more equitable, cleaner, greener and more prosperous world for all." 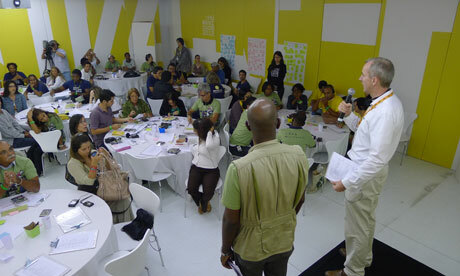 The Rio+20 Conference is one "at the highest possible level, including Heads of State and Government or other representatives, and focused on two themes: (a) a green economy in the context of sustainable development poverty eradication; and (b) the institutional framework for sustainable development." Similar to the conference's short title, Rio +20's closing document and slogan, is also easier to remember than the above mouthful, it is "The Future We Want." As with most world conferences of this type, a lot of work preceded the event, and the gathering is really meant to highlight new plans or accomplishments. This conference had seven areas designated to receive priority attention; decent jobs, energy, sustainable cities, food security and sustainable agriculture, water, oceans and disaster readiness. Progressive businesses - typically building products for a green economy - attend the event in droves, some even getting to speak at numerous workshops. During the actual conference itself, there is a clamor from both invited official guests (Ambassadorial level folks, progressive business leaders, many environmental groups doing substantial work) and uninvited advocacy groups, publicizing their positions on the environment or social conditions. Typically, invited or not, environmental activists will be disappointed-to-outraged at the hypocrisy and stinginess of the world's nations for not doing more, including opening up national purse strings. Nation states themselves jockey for perceived leadership that gives them status as "green and caring." 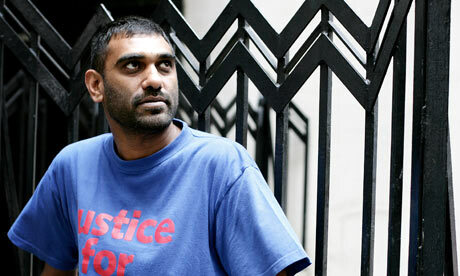 Speaking at Rio+20, Kumi Naidoo, executive director of Greenpeace, says he wants hold the financial sector to account. 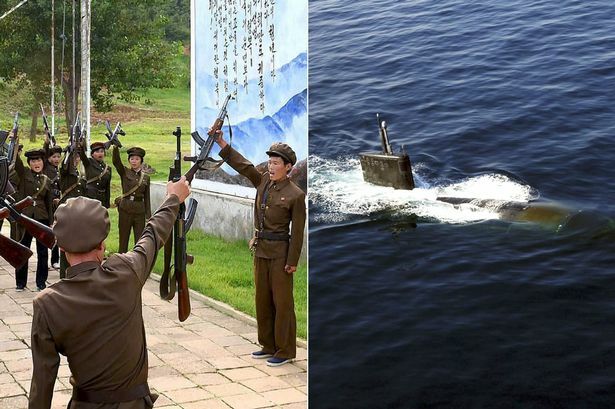 The more colorful and emotional publicity stunts and parades - that does not mean their causes are frivolous - take place off the summit grounds themselves . Inside the conference, statements are read and there is some give and take in various forums. With over 100 world leaders present, there are usually some new levels of commitment made - hopefully funding as well - to address the priority areas mentioned above. A draft concluding document (the goal of the conference) had been hammered out by the opening of the conference on Tuesday which set the stage for two days of discussion and amendments. As today winds down, some final negotiations over the wording will be concluded, and the final paper presented. 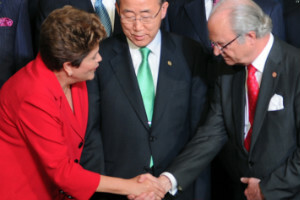 Brazil's President Dilma Rousseff, left, greets Sweden's King Carl Gustaf as U.N. Secretary-General Ban Ki-moon looks on. The conclusions of the conference will be sorted through during the next week.